Mapping with Paper Circuits — Wonderful Idea Co.
We recently met up with with Natalie Freed, Elisabeth Sylvan and David Cole, who are working on a really cool NEXMAP project called Open Data/Open Minds, where they are combining data with paper circuits to create interactive, programmed maps, using Jie Qi's amazing Chibi Clip. And, it is so, so neat! They are working on some really cool ways of using live data streams in these maps, which opens up all sorts of possibilities, like Natalie's real-time tidal map, or a paper pop-up that can display information about your environment. I was inspired to try making a paper circuit map, but decided to start with something (fairly!) simple. I wanted to use existing data to create my map, and program it to be interactive using Jie's Chibi Clip and the block-based programming environment Makecode. You can map almost anything, which creates a perfect opportunity for making something personally meaningful. 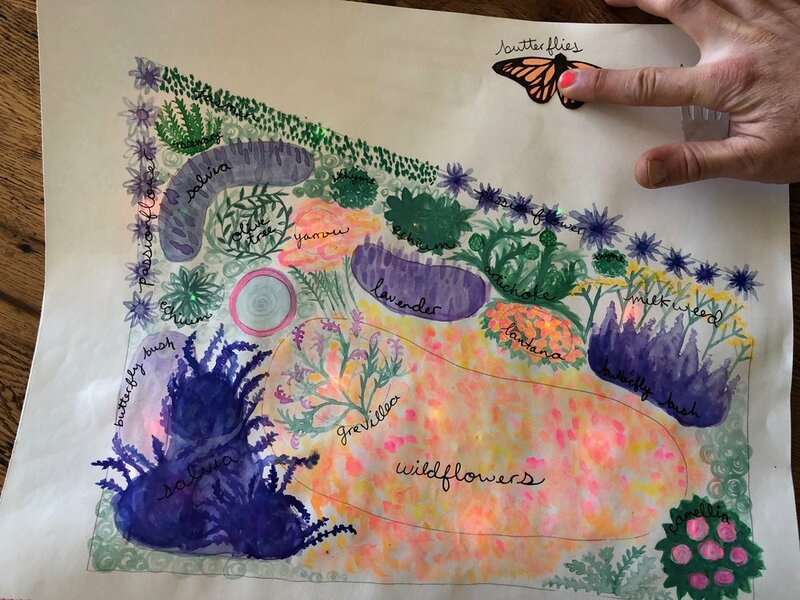 Since it's springtime, I decided to make a map of the garden at the Wonderful Idea Company's workshop, and see if I could use it to display some information about the wildlife that like to visit. Once I knew where to put the lights, I created two circuit paths, one for butterflies, and one for humans. I love the way the copper tape lets you be expressive, and I tried to make the butterfly circuit swoopy, the way a butterfly might move through the garden, while the human circuit is all straight lines and corners. To control the different circuits, I made two simple paper circuit switches. When you press one, a bit of copper tape bridges between +3V and one of the pins on the Chibi Clip. I've made paper circuits with switches before, but the really exciting bit here is after you make your circuit, you can change its behavior by programming it. A traditional paper circuit (is there such a thing?) always works the same way, but with the Chibi Clip, you can make it do anything . . . So I decided to create a program that would make the butterfly circuit fade in and out like a butterfly fluttering around. When you connect the switch that controls the butterfly circuit, colored lights flash and fade like butterfly wings. There are so many opportunities to be expressive and creative with these paper circuit maps! There is the information you are mapping, the way that you illustrate it, the way you program it, how people interact with it . 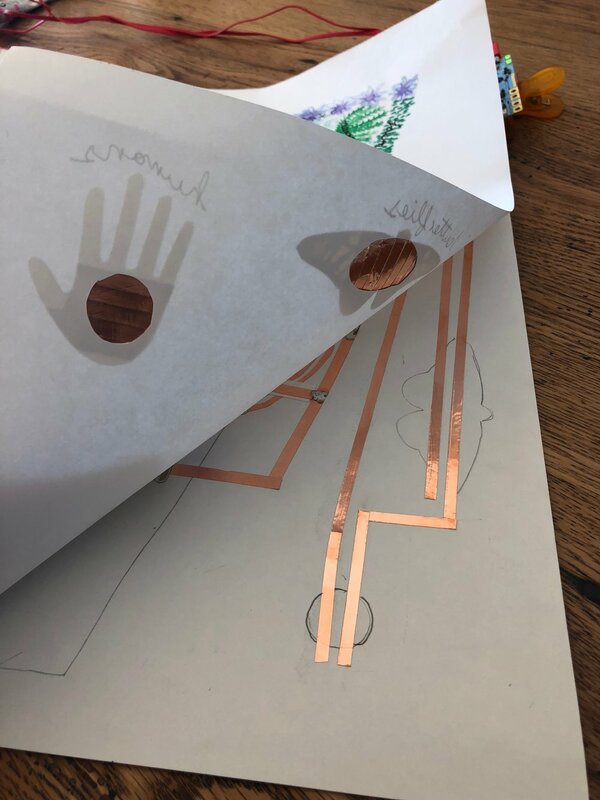 . . it really deepens the experience of creating a paper circuit, and provides lots of paths for exploration, depending on which bits you find interesting. We are really excited about the open-endedness of these paper circuit maps, especially if you can start to incorporate live data streams . 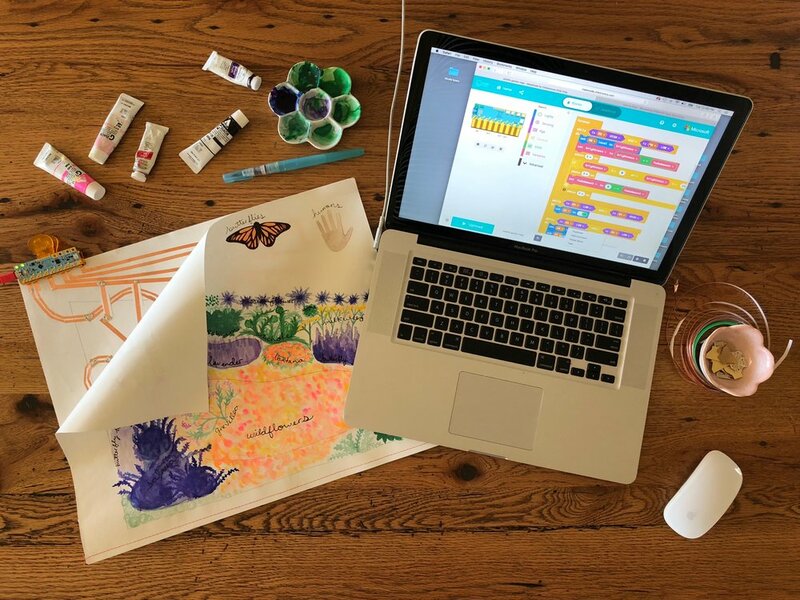 . . it's a super engaging, personally meaningful way to experiment with computational tinkering, and the possibilities are endless!